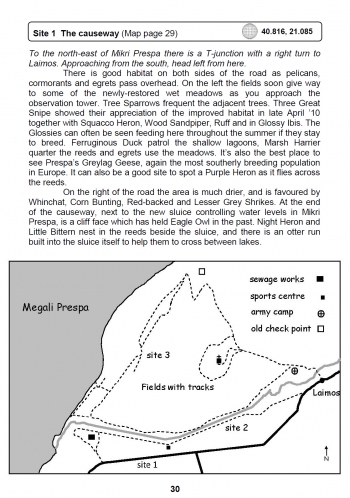 'Birdwatching in Northern Greece - a site guide. 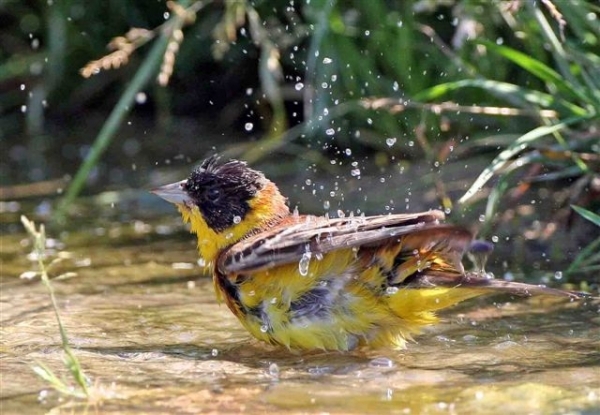 Going birdwatching in Greece? You need this book! It is the most detailed and up-to-date guide available for the area. 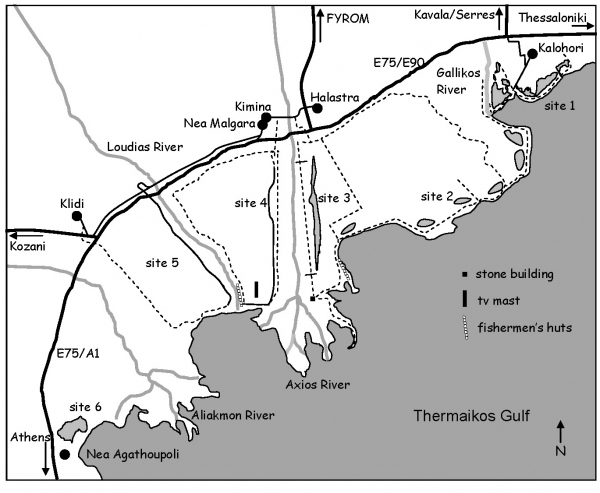 This extensive 174-page book, published in 2011, contains up-to-date information on all major sites in Northern Greece. This extensive 174-page book, published in 2011, is the only book to have! The entry for each site includes detailed directions, updated maps and reliable info on what you might see, when and where. There is a current status list for birds of the region, a checklist of birds of Greece and colour photos of the region's speciality species. Steve Mills has been visiting these areas for over 20 years, at different times of year, and has a wealth of experience to draw upon. Books can be ordered directly using the Buy Now button below. Paypal and all major credit cards are accepted (Please note 4.33% of the payment goes to Paypal). Alternatively, if paying by cheque, order through the Contact page or by downloading and emailing the order form on the Book Updates page. 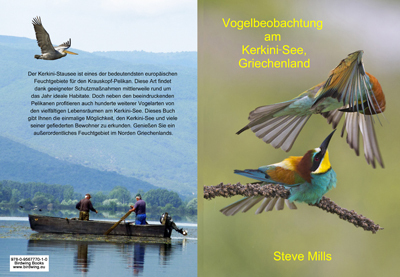 Please note that all proceeds from the book are given directly to bird conservation projects in Greece. This new 2015 guide to Lake Kerkini in German has 48 colour pages with detailed maps, GPS data and information on sites around the lake and further afield. It is the most detailed and up-to-date guide available for the area. Steve Mills has been visiting these areas for over 20 years, at different times of year, and has a wealth of experience to draw upon. Now available for €12 + €2 Postage. Dieser 2015 erschienene, deutschsprachige Naturführer über den Kerkini-See beinhaltet auf 48 Farbseiten detaillierte Karten, GPS-Koordinaten und Informationen über die besten Beobachtungsgebiete am und um den Kerkini-See. Er ist derzeit der detaillierteste und aktuellste Naturführer für diese Region. Steve Mills greift dabei auf mehr als 20 Jahre Erfahrung zurück, in denen er diese Gebiete immer wieder zu verschiedenen Jahreszeiten aufgesucht hat. Ab sofort verfügbar für 12€ + 2€ Versand. All proceeds go towards conservation projects in Greece! The new Birdwing playing cards are now available to order! Each of the 52 cards shows a different Greek bird with its name in Greek, English and Latin. All money raised will go towards helping birds in Greece. Support Birdwing and take advantage of our special offer! We are offering two packs of the cards for a price of £10 or €12 (which includes postage!). Now with free children's activity pack to support the cards. Click here to download. All comments are checked before being published. Your email address will not be made public - it is purely for validation purposes.